Now you can own your very own LEGO® gold brick, a fan-favorite element! This fun and colorful keyring features an authentic gold-laminated 2x4 LEGO brick attached to a sturdy metal ring and chain. Makes a great backpack charm! Price is 51% above the initial Lego retail price! 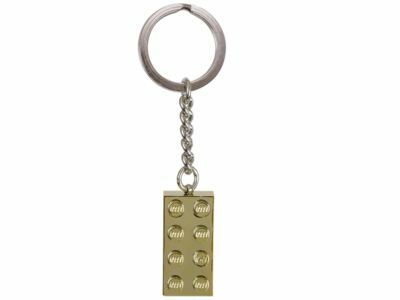 The LEGO® Gold Brick Key Chain (850808) Lego set is available from the sites below. However, they do not offer delivery to your selected region. The LEGO® Gold Brick Key Chain (850808) Lego set is no longer directly available from the sites below. However, 3rd party partners of these sites might still have the set available. Alternate description Carry a brick of LEGO® gold everywhere that you go with the LEGO Gold 2x4 Stud Key Chain on a sturdy metal ring and chain!